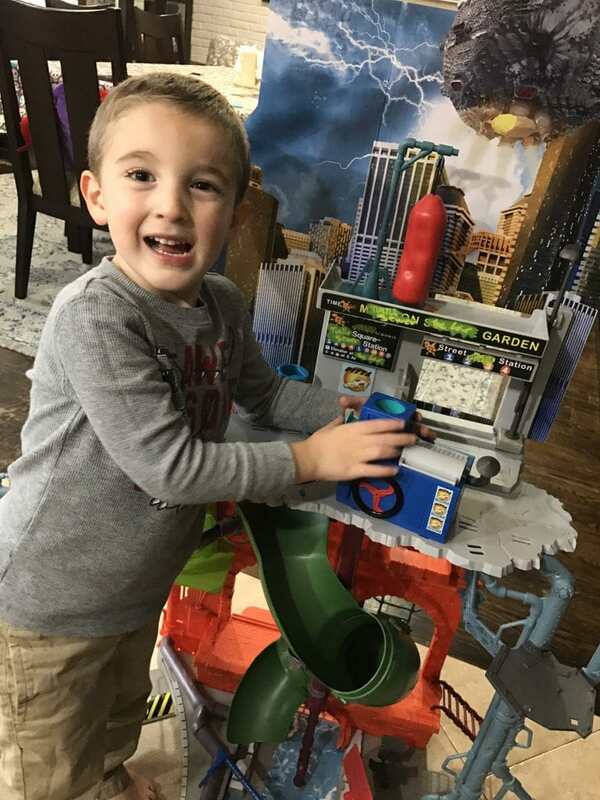 We had the chance to review the Teenage Mutant Ninja Turtle City Sewer Lair and BOY did Caleb LOVE IT. I mean – right off the bat – it’s 40 inches tall. That’s taller than he is to date. How fun! Looking for more details about the toy? Let me break it down! 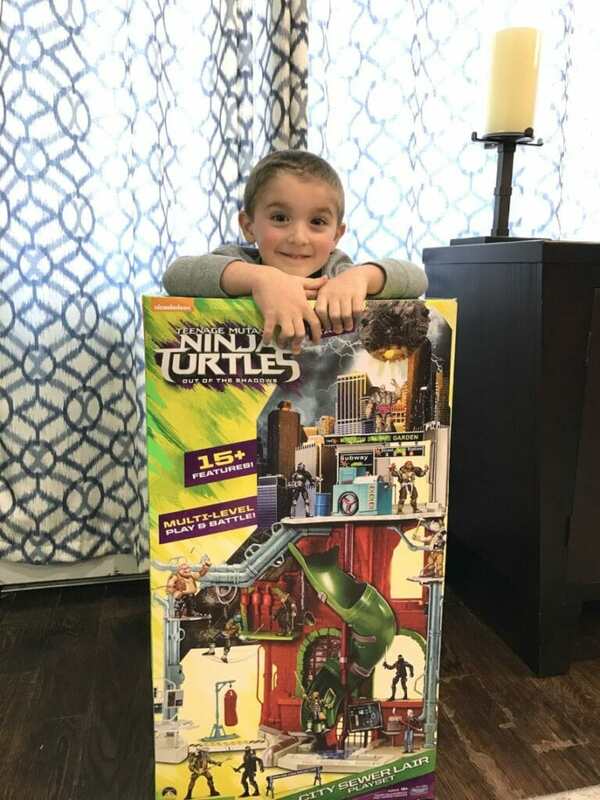 40″ tall playset is packed full of Turtle adventure! With over 15 features and plenty of space to play, you can recreate all of the Turtle’s best battles! Play in Donatello’s garage and tech lab, Splinter’s meditation area, or Raphael’s gym! 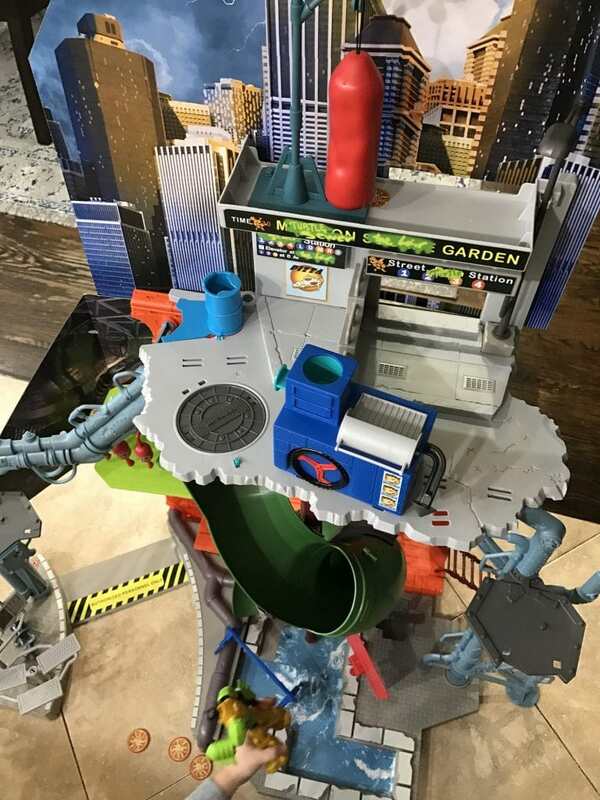 Battle the Foot Clan on the street level, and then escape back to the sewer lair via the awesome water slide – just like in the movie! Here’s a little video showing the toy in action. The TMNT will have plenty to do in this lair. And just so you know, the pizza throwing machine comes is the highlight of Caleb’s LIFE. Ready – set – AIM AT EVERYONE. Lol! The punching bag works. The slides are super fast. There are so many nooks and hidden corners to jump around, your kids will have fun for hours. Even if your kids aren’t MAJOR turtle fans, don’t worry. You don’t need to have seen past movies to enjoy this layer. Hours of playing waiting to be unleashed.